For over two thousand years people have stood where I’m standing now. For although these honeyed flagstones brought Philae Temple to life back in the Greco-Roman days (around 370 BC,) come the time of flared trousers, big hair and D-I-S-C-O, people moved it. 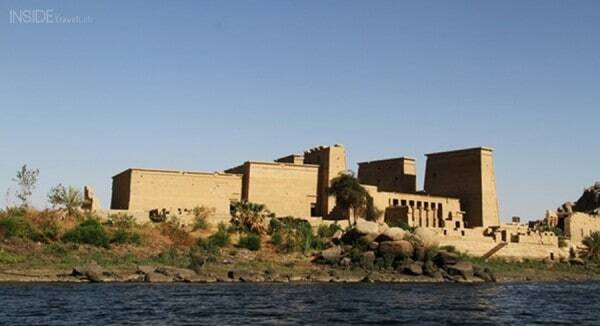 That’s right, in the 1970s, UNESCO took the whole thing to pieces, stone by stone, rebuilding it on the Island of Agilka to escape the floods from the Aswan dam. Metallic numbers still glint in the sun on the stone, jewelled remnants of one of history’s greatest jigsaw puzzles. Yesterday, I stood in the chilled dark heart of the Egyptian Museum looking at the mummy of the Great Ramses II. He too had been disassembled, although not according to any plan. He visited France, at around three and bit thousand years after his death, for a sprucing up of his embalmment process, a croissant and the removal of a rare fungus. The Frenchman behind the project snipped off a few locks of hair and a dash of mummified linen cloth, labelled them in a neat, curling handwritten script and then hid them away somewhere. The whole escapade only came to light in 2007 when his son tried to sell the hair on eBay. Outrage ensued, France returned the fragments and now they sit next to the smoky black mummy of Ramses II, still in their neatly labelled plastic bags. But that was yesterday. This is today and I’m standing alone. Of all the footsteps that have crossed from the sunshine into these shadows, it’s particularly strange to think that some were mine. I visited around ten years ago and instead of echoes and silence, the walkways squeaked and shuffled with flip flops and trainers, dust-ridden sandals and battered leather shoes. In short, there were crowds of tourists. Lots of them. They walked, as I did now, past the hieroglyphics of suckling infants and warrior princes and the faces and shoulders that had been scratched away. When Christianity swept through the Roman Empire, it reached this sandy offshoot from the Nile and was distinctly unimpressed by the devotion to pagan gods. When Islam followed suit, a few centuries later, the temple remained the same although the diet and dress codes did not. Then came the Arab Spring. And the temple changed again. Smoke and mobs filled the evening news, tourist numbers plummeted and a new kind of poverty, spread through Upper and Lower Egypt: one borne from human emptiness. After three decades at the helm, President Hosni Mubarak resigned with near unprecedented speed, charged with the deaths of over 800 protestors. Democracy followed, albeit unevenly, and the Muslim Brotherhood came to power. With so much going on, it’s no surprise that people like to talk politics, even if the stone carvings of ancient Egypt have nothing new to say. Already, I’ve heard from tour guides and taxi drivers, of course, but also crisis workers, UNICEF ambassadors, exchange students, expats and even a rather dazzling local movie star. They paint a picture of a vibrant, passionate Egypt. But of an Egypt still desperate for change. 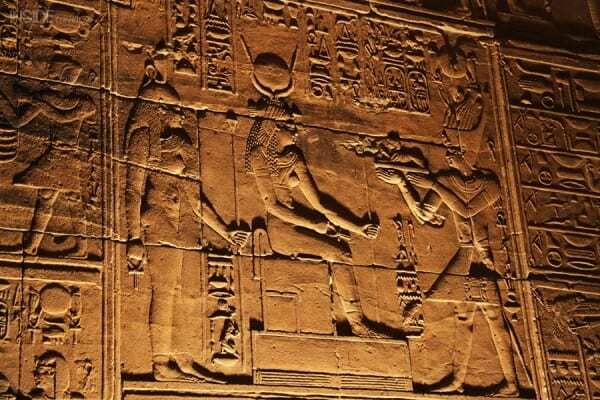 Standing in the silence at Philae, their voices twine around the bas-relief hieroglyphics that line the wall and I know I need time to let them sink and settle in. To have them sift and solidify into sense. I embrace the solitude. The songs of the minarets. The sand and the dust at my feet. The drawings frozen in place over thousands and thousands of years. 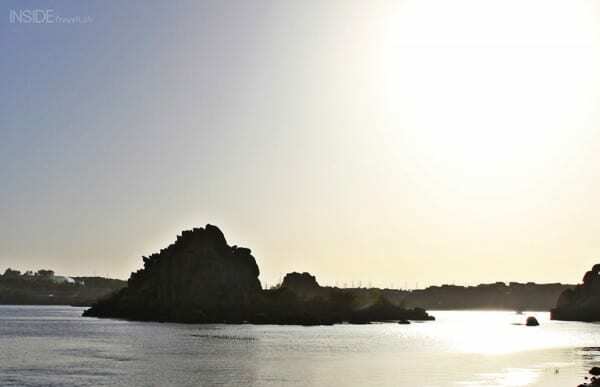 The hush of the Nile and the whispering water that laps around this island. 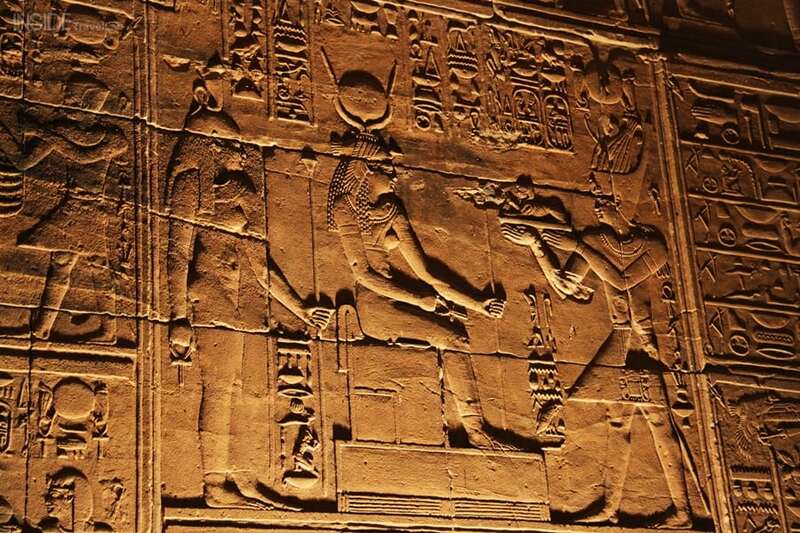 Like Ramses, this temple was taken apart and then put back together. Perhaps that’s what’s happening to the country as a whole. And perhaps, like this temple, the end result will be both peaceful and beautiful. Whatever the age, whatever the point in history, I believe that there are some wishes that always remain the same. Disclosure. I’m in Egypt as a guest of the gorgeous luxury travel company Abercrombie & Kent and I was hosted at The Four Seasons First Residence in Cairo. Neither company has any say over what I publish here. It’s certainly felt that way (and indeed felt safer than the last time I was here.) I always check out the advice from the Foreign & Commonwealth Office before I travel anywhere, which you can find over here. At the time of writing, they agree that these parts of Egypt are safe. A&K also allow you to postpone your trip to Egypt for up to two years at no extra cost if the situation in Egypt changes (read the small print over here.) Plus, you have a local guide with you at all times who is able to read the situation, offer advice and put in place practical plans should the need arise. Current offers: 7 night Nile Cruise from £995 per person based on two adults sharing on a full board basis including international flights and transfers. I always love your honesty and candor. I’m so glad you spoke about the safety and the guarantee from A&K. I’ve wanted to travel with them, now I am very sorry I wasn’t able to this time. Looking forward to reading more of your pieces about Egypt. You’ve captured my imagination!! 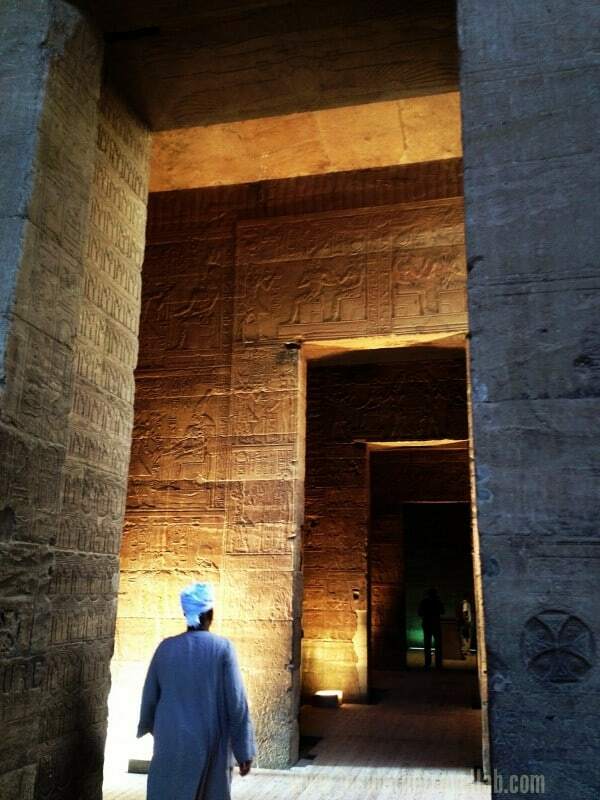 Egypt’s such a fascinating country – I could go back and back and back! And, yes, A&K do things so well so I hope you do get to travel with them one day. 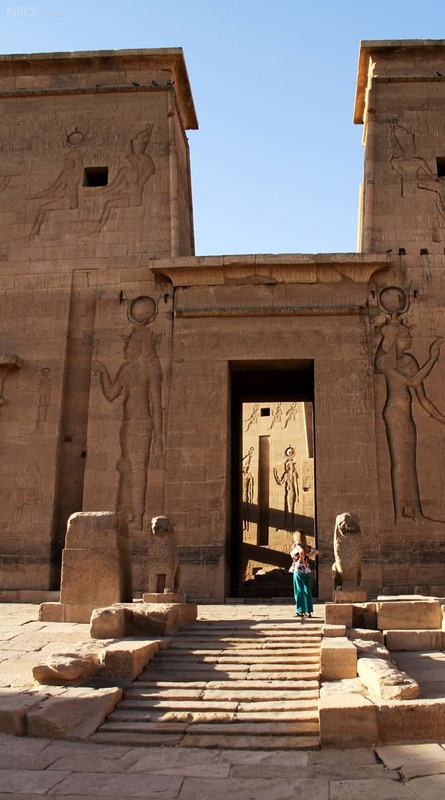 I visited Luxor about 6 months before the political upheaval really started, but I’d love to go back and see more of the country – I was too far from both north and south to visit Cairo or Aswan during my trip, and I would have loved to have seen Abu Simbel. 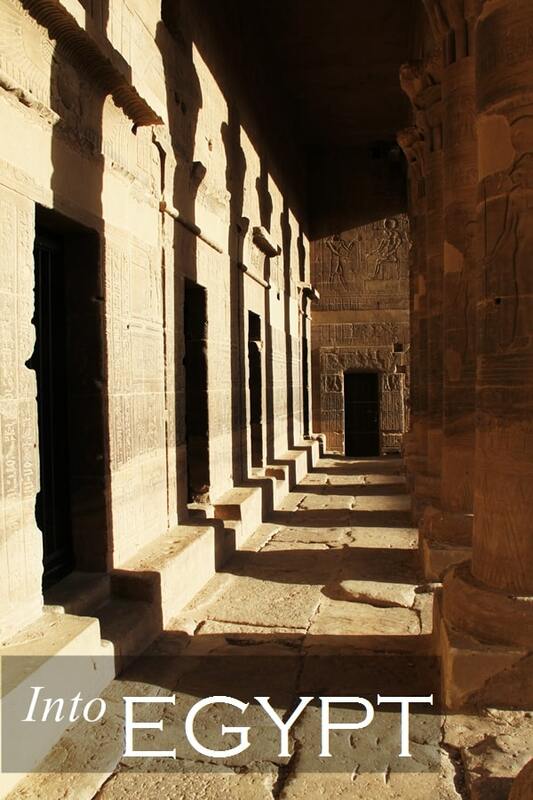 Egypt has so much that the world should see – and Abu Simbel is staggeringly beautiful. I hope you get to go back! Well prices are rock bottom at the moment if that helps at all!